We assembled as usual at 10:00 am. There were 10 participants - 9 Cache Hikers and one dog: Dave W, Jane, Dave P, Kathy, Tim, Jeanne, Caitlyn, Dusty the dog, Jim and Dan (the trip leader). We drove up in three cars, but as we got into the middle section of the canyon the road conditions got dangerous. We decided to turn back and do our outing at Wood Camp. 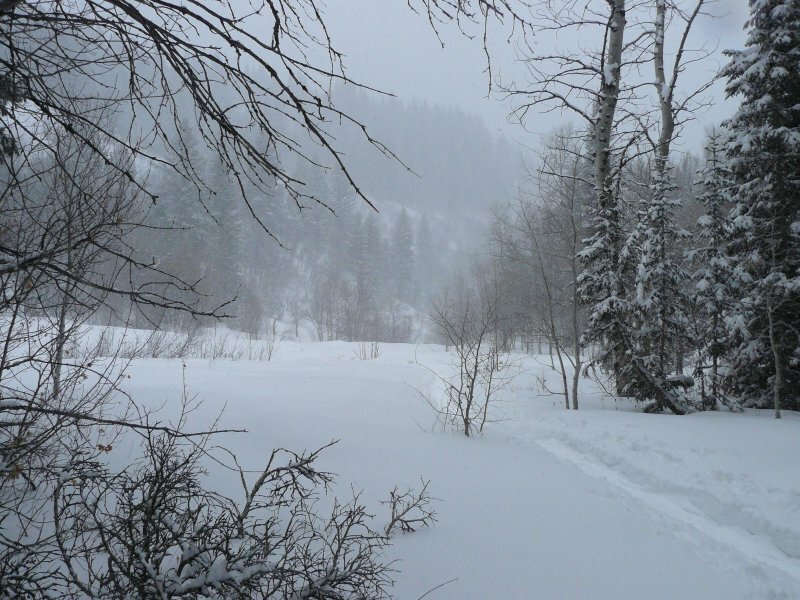 The snow was good and we started out at about 11:10 from the Wood Camp trailhead - Dave W and Dave P were on skis, Caitlyn on a splitboard and the rest on snowshoes. Sometimes Dusty plowed through the unbroken snow ahead of us, and he liked to ride on the tails of our skis and snowshoes as we took turns breaking trail. 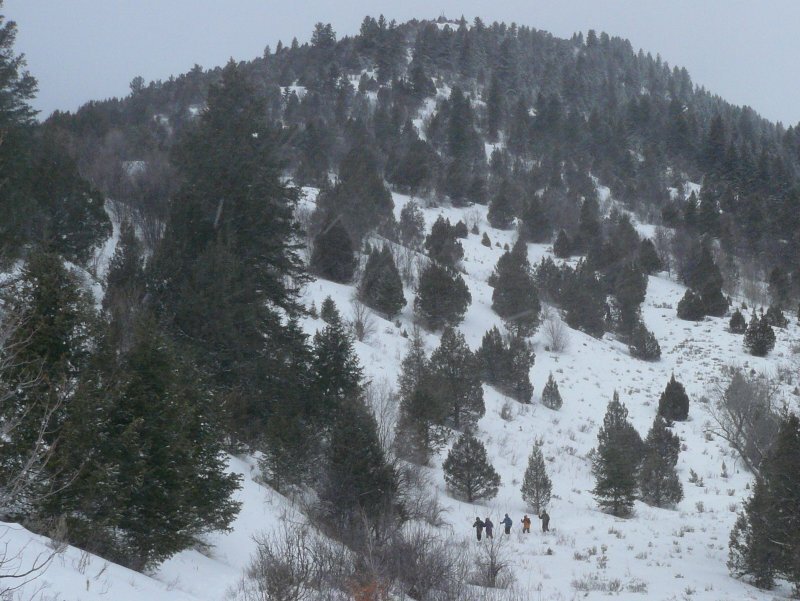 Snow fell and the wind blew, but we were warmed by exertion as we worked our way up the familiar route. We took a short break just before the stream crossing and a lunch stop at the first switchback in the shelter of a grove of trees. The skiers were way ahead on the way back, although they complained of snow sticking to the bottom of their skis. 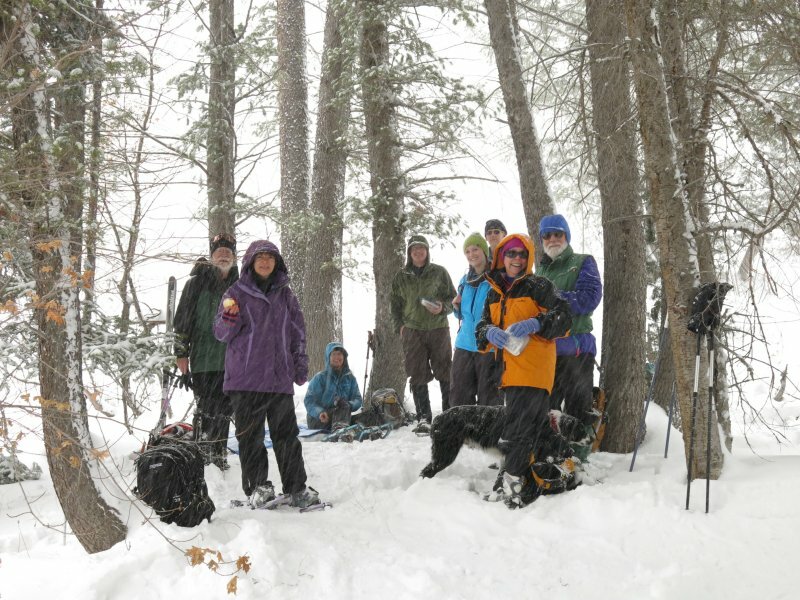 This was a good trip - we all were comfortably warm despite the weather and we enjoyed the peaceful calm of untracked snow. 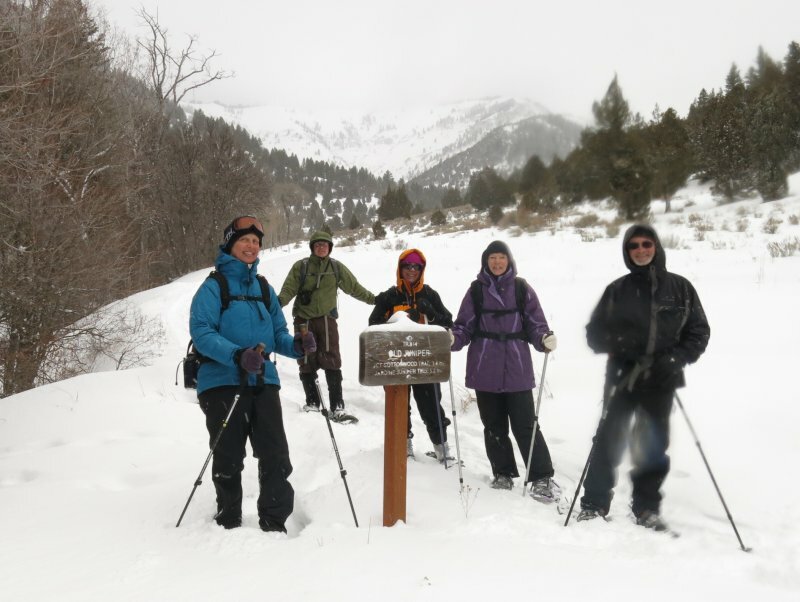 Editors note: We had planned a trip to Amazon Hollow, but this lower-elevation excursion to Wood Camp was a good alternative given the poor road and weather conditions in Logan Canyon.